This delightful portrait of Alice relaxing with one of her beloved dogs is one of many never previously-published photos in "Alice's Album." 0ne of the most frequently-asked questions about the Longstaff Collection is why was it named after Alice, when so many of the photographs in the archive are credited to her predecessor Crossley Westerman? 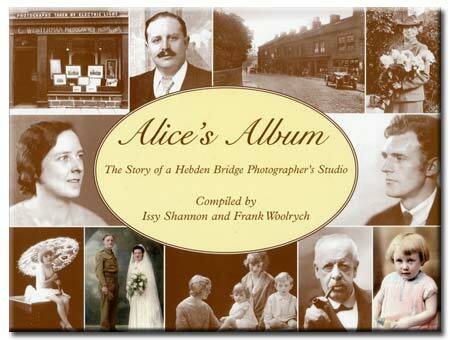 Alice's Album - The Story of a Hebden Bridge Photographer's Studio, has the answer and much more! A 68-page high quality soft-back lavishly illustrated with photographs in colour, sepia and black and white, it tells the story not only of Alice but of Crossley Westerman and his daughter, Ada, too, without whom there would be no collection. Founder of the studio in the early 1890s, CrossleyWesterman could have had little inkling of the amazing retailing tradition he had set in motion, ending only with the death, 100 years later, of Alice Longstaff who took over in 1935. It's amazing enough for a business to survive for around a century but for it to be in the hands of only three proprietors makes for a fascinating story which "Alice's Album" tells from beginning to end. 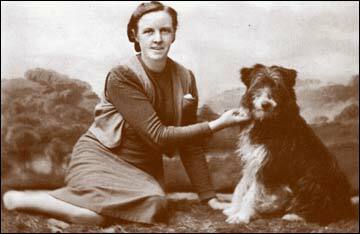 Alice's contribution to local history cannot be overstated," says Frank Woolrych, custodian of the Longstaff Collection and who has made it his life's work to keep her priceless bequest to the valley in the public eye. "Apart from her gifts as a social photographer she was, fortunately, a great hoarder and kept everything, from the studio's own pictures and others acquired over the decades, to cameras, glass plates, brass-barrelled lenses and film-based negatives." Frank is currently engaged in the marathon task of cataloguing each and every item - "there are thousands of images," he admits, "each one telling a human story about this area. "At the time her career began in 1921 photography had a particular importance for people. There was a sense of mystery about the relationship between camera and subject and what went on beneath that black cloth. Now it tends to be taken for granted." A modest, if strong-minded woman, she would be amazed at the attention she is attracting today - but would secretly be delighted, he adds. Together with Issy Shannon, previously a reporter on the Hebden Bridge Times which ran a weekly feature on the Collection for several years, Frank has set up Milltown Memories, a quarterly magazine - "the Upper Calder Valley captured on camera, featuring photographs from the Longstaff Collection." It is the voice-piece of the Collection and is an important part of the quest undertaken by Frank and fellow trustees Beryl Woolrych (Frank's wife and constant support) and Lloyd Greenwood (well known throughout the Hebden Royd area as raconteur and expert on local history) to eventually find a permanent home for Alice's remarkable legacy. Part of the proceeds from "Alice's Album" will go towards acquiring equipment vital for maintaining and continuing support for the Collection.